Tax being a mandatory financial charge or some other type of levy imposed upon a taxpayer (an individual or other legal entity) by the government in order to generate revenue. Aside being a means to generate revenue is enforced by federal, state and local government with each tier having its own responsibility explicitly spelt out in the Taxes and levies Decree, 1988.Aside being a means to generate revenue, it is also used to redistribute income among the populace. The Tax system in Nigeria has undergone various policy changes geared at a more effective and efficient way of tax collection and administration. Such policy includes the introduction of the taxpayer’s identification number (TIN, which became effective since February 2008); an automated tax system that enhances the tracking of an individual taxpayer’s positions and challenges, launching of an e-payment system which promotes smooth payment procedures and reduces the incidence of tax tout, introduction of luxury taxes and ongoing process to review incentives such as pioneer status. Despite these changes, and the fact that tax laws are constantly being reviewed with the aim to revoking obsolete provisions and simplifying the main ones, there are still a number of issues that need to be looked into immediately. Multiplicity of taxes: This simply means paying similar taxes on the same or almost similar tax base. Examples of multiple taxes are Company Income Tax, Education tax, etc. (which are based on income) and also Value Added Tax, sales tax, etc. (based on sales). Beyond this, there are multiple agencies that companies have to deal with outside those required by the constitution. To solve this issue, approved list of taxes should be listed, properly delineated and strictly adhered to by all the tiers of government. Poor tax administration: Ministries, departments, and agencies (MDAs) suffer from limitations in manpower, money, tools, and machineries to meet the ever increasing needs of individual taxpayers. As a matter of fact, the negative attitude of most tax collectors can be linked to poor remuneration and motivation. Also, it has been noted that that staff are not provided with regular training to keep them ahead of developments in tax related matters. This makes the administration of taxes in terms of coverage and assessment very weak. This issue can be checked by educating government staff as well as the citizens on tax matters. Tax education may make citizens perform their responsibilities willingly. Also, in administering tax, rules should be clear, concise and simple, there should be minimal compliance costs, easy access to information, low tax burden on taxpayers, including mutual trust and fairness. Tax refunds: Although there are specific provisions in the tax laws, especially under the FIRS Establishment Act 2007 for tax refunds, these provisions are yet to be fully functional. There should be appropriate funds set aside out of tax collected to cater for tax refunds both at the federal and state levels and tax authorities should be more willing to refund genuine over payment of taxes. The FIRS Act requires tax authorities to pay a taxpayer’s refund claim within 90 days of the application subject to appropriate audit. Failure to pay refund on time should attract adequate penalties. The issue of appropriate tax authority to administer several taxes e.g. the crisis between Lagos state and the federal government on the tax jurisdiction of VAT in the state. A clear and appropriate legislation should be passed to resolve this impasses. 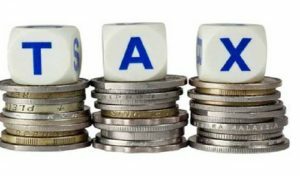 Inability to prioritize tax efforts: Revenue allocation in Nigeria does not promote tax efforts as it is anchored on factors like equality of states, population, internally generated revenue (IGR), education, land mass, etc. This approach discourages a proactive revenue drive, particularly for IGR and makes all the tiers of government to be heavily reliant on unstable oil revenue. The share of IGR should be increase to encourage state to look inward to generate more revenue through tax. Despite the number of changes Nigeria has made to its tax system in the past, there is still a very long way to go and the current situation of things is a no-no. Taxes should be collected effectively and fairly, both in equitable and monetary terms, for our benefit, so as to ensure our desired growth and development. Ironically, what businesses and investors need, as a matter of priority, is the removal of tax disincentives and not the opposite.